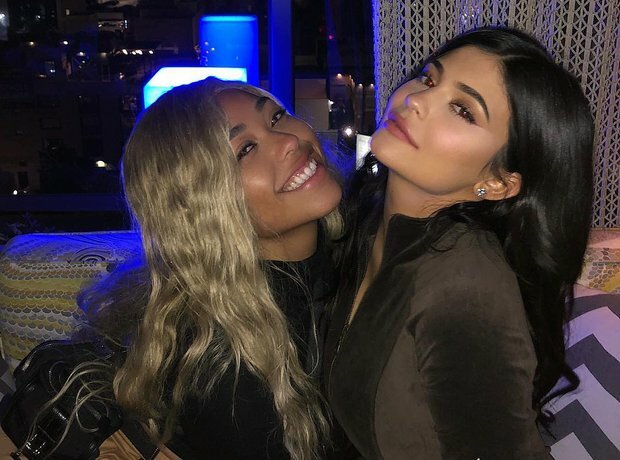 Kylie Jenner and Jordyn Woods have been best friends for years - but all that may have changed thanks to Jordyn allegedly 'hooking up' with Tristan Thompson, the boyfriend of Kylie's older sister, Khloe Kardashian. Here's everything you need to know about their friendship so far. 1. Summer 2012: Kylie and Jordyn first meet. 2. December 2013: Jordyn celebrates Christmas with Kylie. 3. May 2014: Jordyn attends Kim and Kanye's wedding in Florence. 4. May 2016: Kylie and Jordyn get matching tattoos. 5. August 2016: Kylie supports Jordyn at the launch of her clothing line with Boohoo. 6. September 2016: Kylie and Jordyn attend New York Fashion Week together. 7. September 2017: Kylie and Jordyn get "married" in Peru. 8. Autumn 2017: Jordyn helped hide Kylie's pregnancy. 9. March 2018: Jordyn joins Kylie and her boyfriend Travis Scott in Wyoming. 10. June 2018: Kylie and Jordyn attend Virgil Abloh's Louis Vuitton show in Paris. 11. August 2018: Kylie celebrates the launch of Jordyn's activewear brand 'SECNDNTURE'. 12. September 2018: Kylie and Jordyn launch their first Kylie Cosmetics collaboration. 13. January 2019: Kylie and Jordyn ring in 2019 together. 14. January 2019: Jordyn joins Kylie and baby Stormi on a tropical beach vacation. 15. February 2019: Jordyn allegedly 'hooks up' with Tristan Thompson. 16. March 2019: Kylie "still isn't speaking to Jordyn" following the cheating scandal.